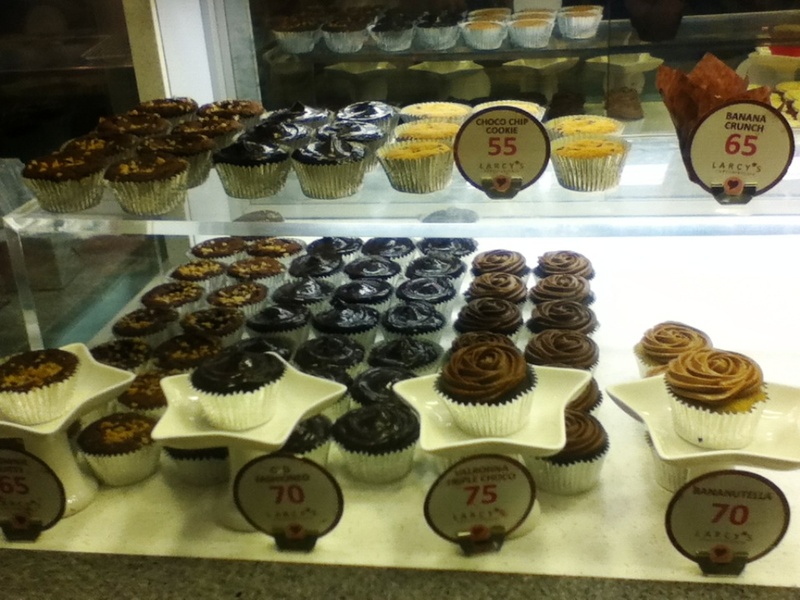 Cupcakes have definitely took the Philippines by storm. 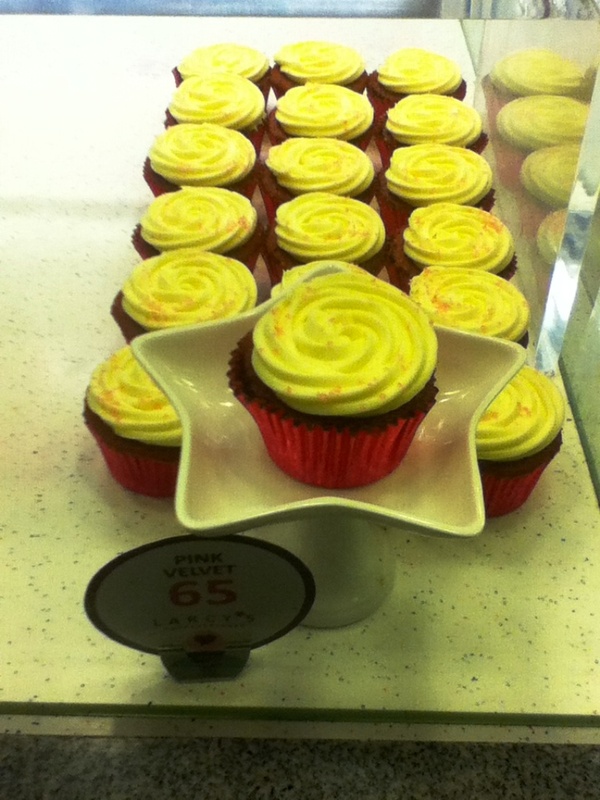 In the past few years, there have been a boom of cupcake café restaurants all over the country. Almost every restaurants have started offering cupcakes from their dessert menu which have surely delighted each and everyone's sweet tooth. 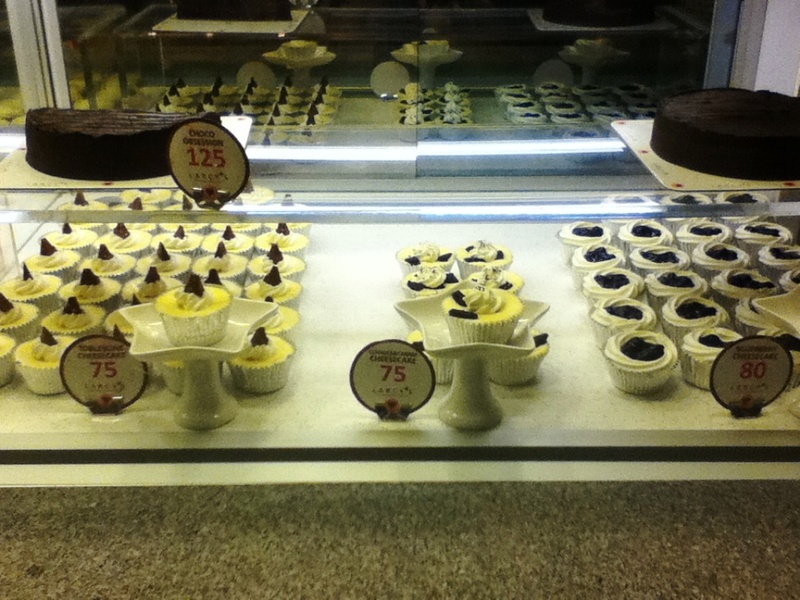 Working in The Fort area of Taguig City has given me an edge into trying different kinds of desserts. 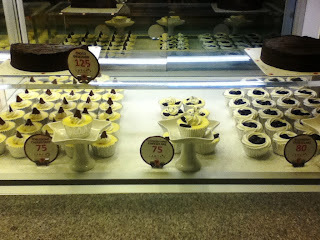 I must say, Cupcakes by Sonja's paved way for me to incessantly consume cupcakes whenever and wherever. I am just a girl who is trying to live her life to the fullest. 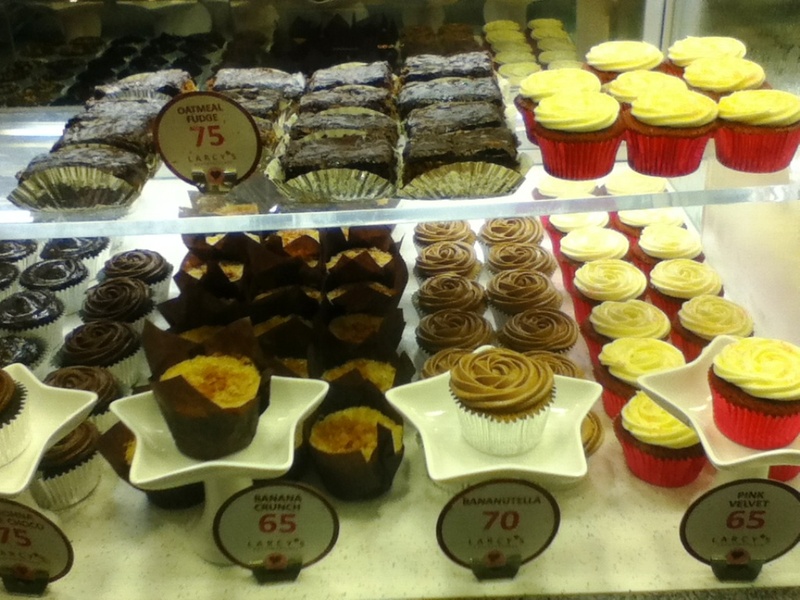 And I mean it by eating as much cupcakes as I can. 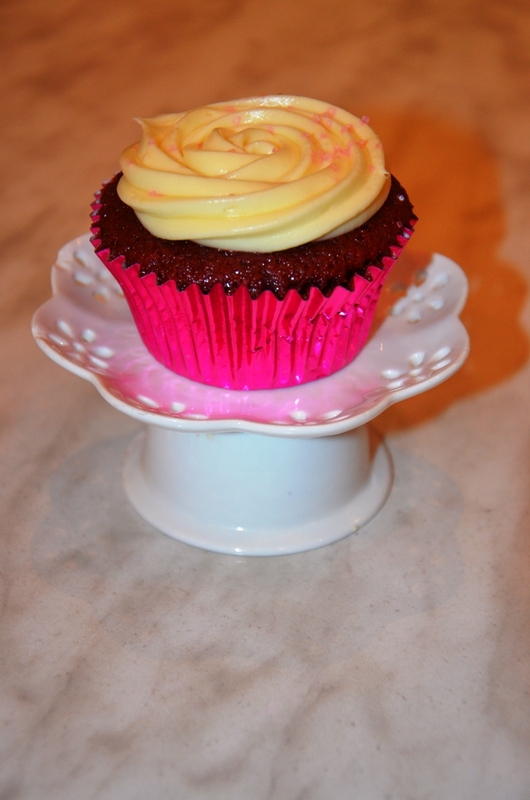 Hello, who would say no to cupcakes? No one! 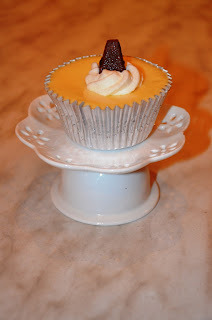 It is known to us that the northern part of Metro Manila presents us with more variety of food rather than in the South so it has been quite a dilemma for us living in the South on where to buy heavenly tasting cupcakes. Unless of course, we make an effort to at least visit The Fort, which is only 20 minutes from our home but then, we'll have to pay an exorbitant amount for the toll fee. 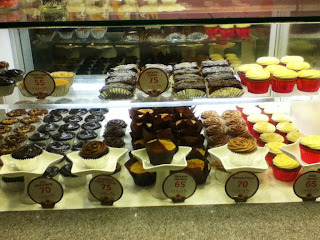 So it has been our routine to stock up on cupcakes by Friday to devour on weekends. God may have heard the quandary that the South people have been experiencing that He has answered our plea through establishing a new cupcakery café last December 8, 2012: The Larcy's Cupcakery Café owned by Larcy and Gatchi Gatchalian. 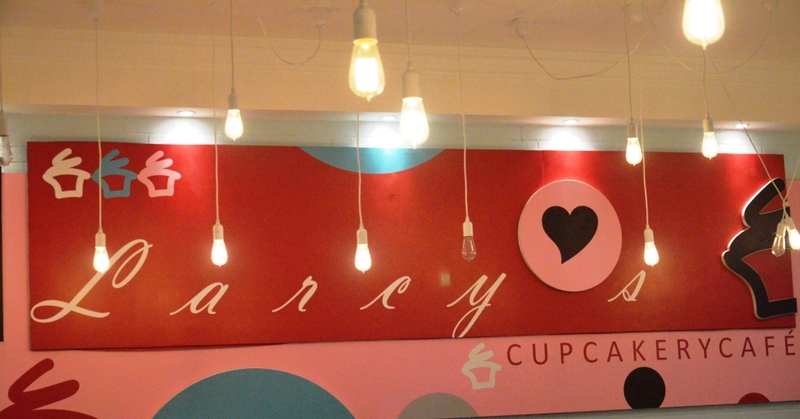 Larcy's Cupcakery Café is a combination of a café and restaurant that can be found in the bustling area of BF Parañaque. Larcy's actually has two floors. On the ground floor, you will see four tables with couches, two sets of mini tables for kids, a long table designed like a mini bar, and two couple tables. As for the second floor, there is also a room with a similar setting as that on the ground floor with the difference that this room can be made into a function area. 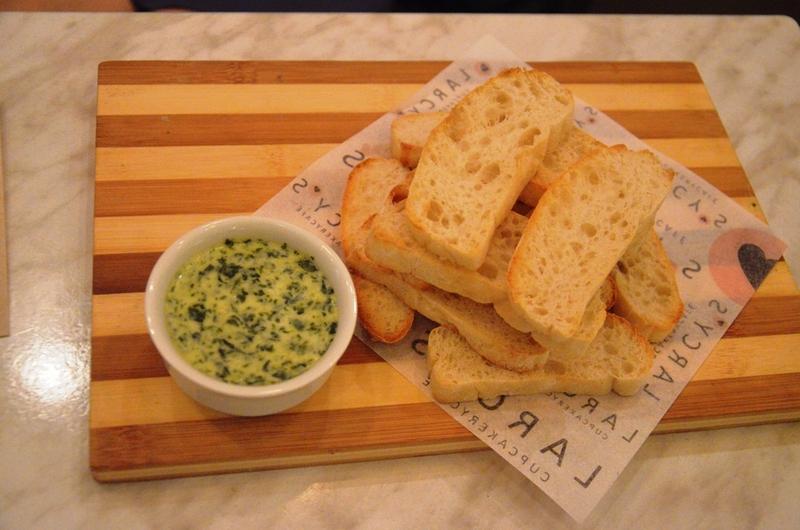 They also have a balcony wherein people can hang-out while munching on their favorite dishes and drinks. The restaurant provides at least eight parking slots for their customers. Larcy's is usually packed up every time but you don't have to worry where to park your car because there are a lot of free space around the vicinity. 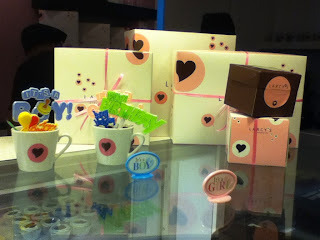 The place's interior is highlighted with Carnation Pink and Light Blue colors. These colors are the perfect combination to give a place the cozy ambiance that most of us want to feel. It has been installed with unique lights which we are all dying to get! The chairs were very comfy and I totally adore the mini tables and chairs apportioned for kids. Next time, we'll be sure to seat on those cute chairs! There are enough food to choose from their menu. The price of the food compensates to its taste: ambrosial! The only weakness of this restaurant is its menu. 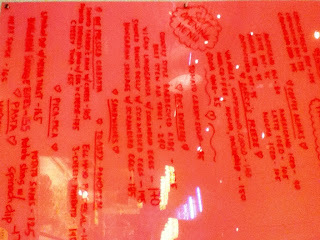 Their menu is placed in a glass on a pink writing. I find it quite hard to read as the light reflects on the glass. Also, some customers find it difficult to order. Say for example, after I decide on what to buy, I will line up to the counter and state my order. But what if I have changed my mind? Or I have forgotten my order? I will have to go back to the glass menu then back to the counter once more. 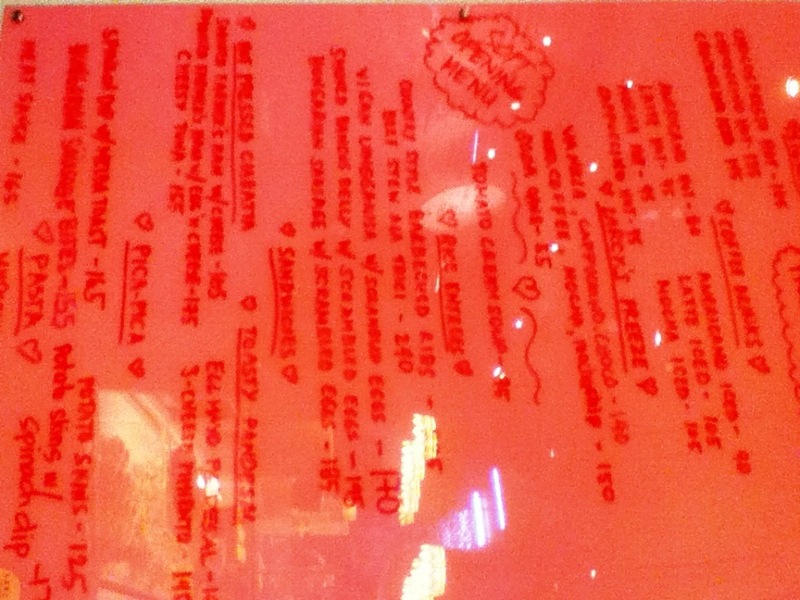 Also, people might end up cluttering on the glass menu as the restaurant only has one list of menu. It might be a bit of a tumult to the customers especially if they're all crowding in the glass menu. 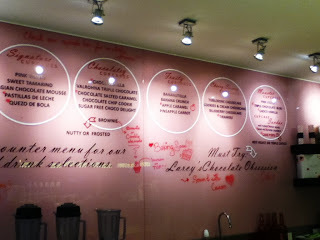 A friendly suggestion: it would be an advantage if Larcy's have a menu list board so that customers can freely check on it while they are on their table or once they are in the counter. As for the food, I am not lying when I say that they have the BEST cupcakes that I have ever eaten in my entire life! Dreaming of their cupcakes every night is enough proof that I really am craving for those sweets! I am not a big fan of frostings but I make these cupcakes as an exemption. 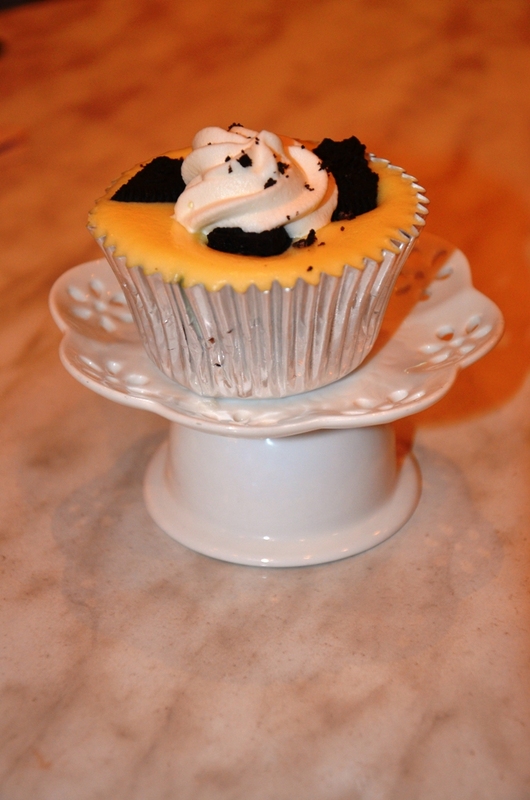 Every detail of the cupcake is accurate. If I have to exaggerate it for you to try those cupcakes, then I would. Really, they're perfect! 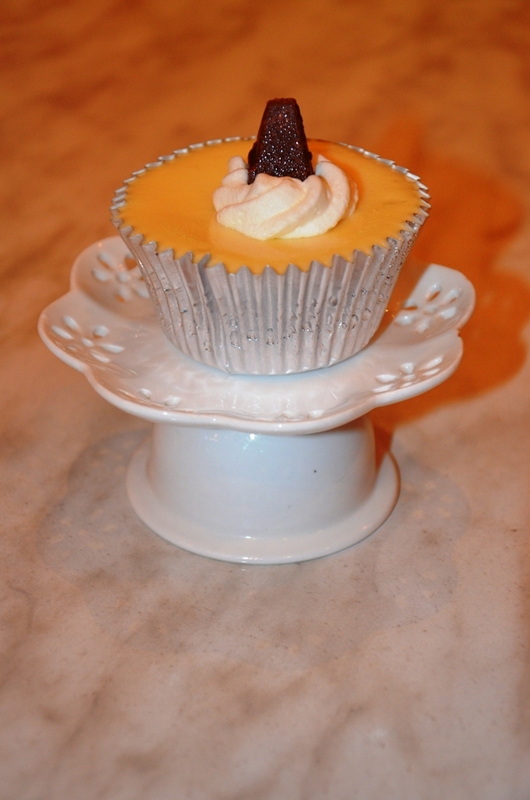 Plus points for the special cupcake holder that comes along with each cupcake! 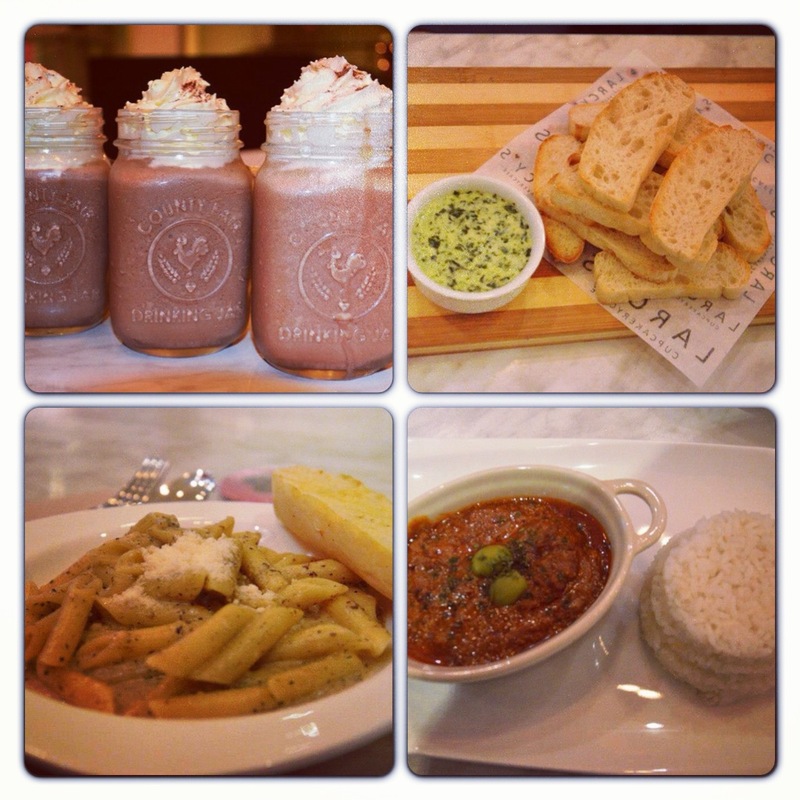 Aside from the cupcakes, we ordered the Mushroom Truffle, Beef Stew ala Trici, and Spinach Dip with Melba Toasts. 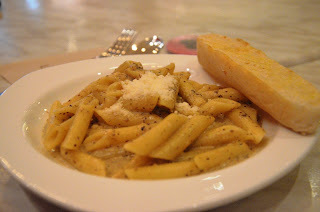 May I just say that their pasta is oozing with truffle? Absolutely ideal to order because I fancy truffle. 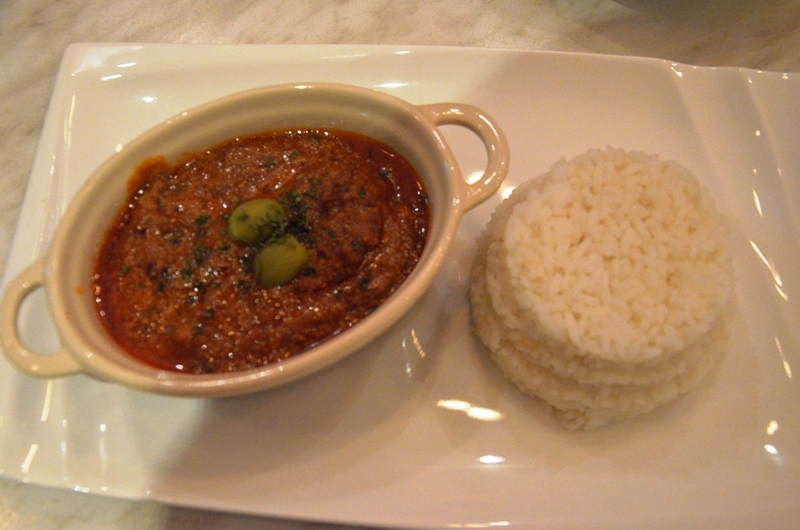 Larcy's is very generous with placing beef on their Beef Stew ala Trici, more than enough for my two friends and I! 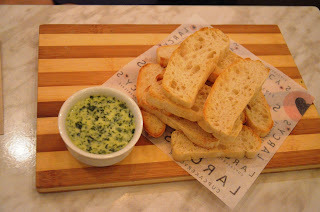 And of course, one wouldn't get it wrong with their Spinach Dip with Melba Toasts. You have got to love restaurants which truly balance their serving with the right price. 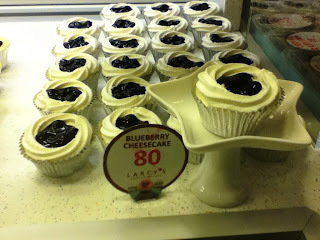 I consider Larcy's to be one which is generous not just with the serving but with adding taste to their food! And more cupcakes for your eyes! Along with food comes the drinks. Larcy's tenders a variety of drinks but their best seller is the Frozen Hot Chocolate Velvet. 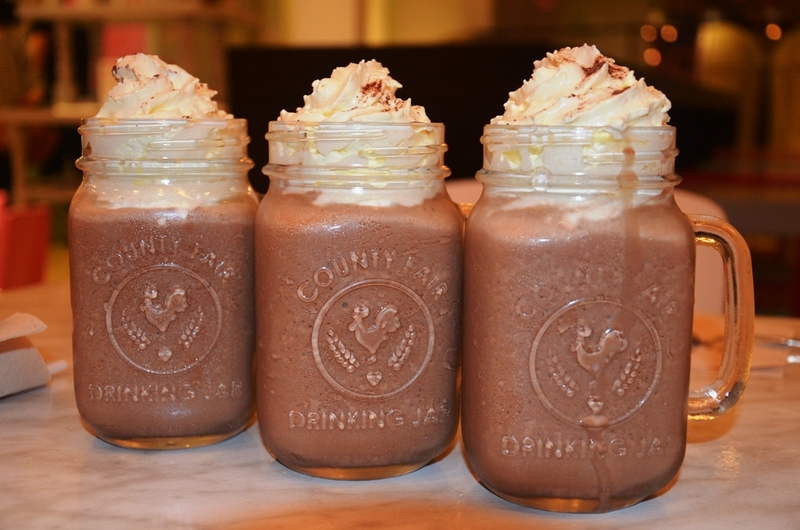 Instead of ordering different drinks to try on, we have decided to order three Frozen Hot Chocolate Velvet. Again, I am not kidding when I say that this drink is beyond comparison. 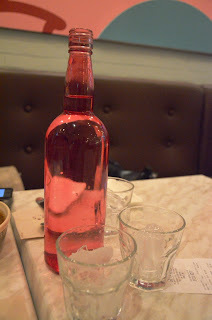 We were already full from all the grandiose food that we have eaten but this drink is hard not to be consumed. 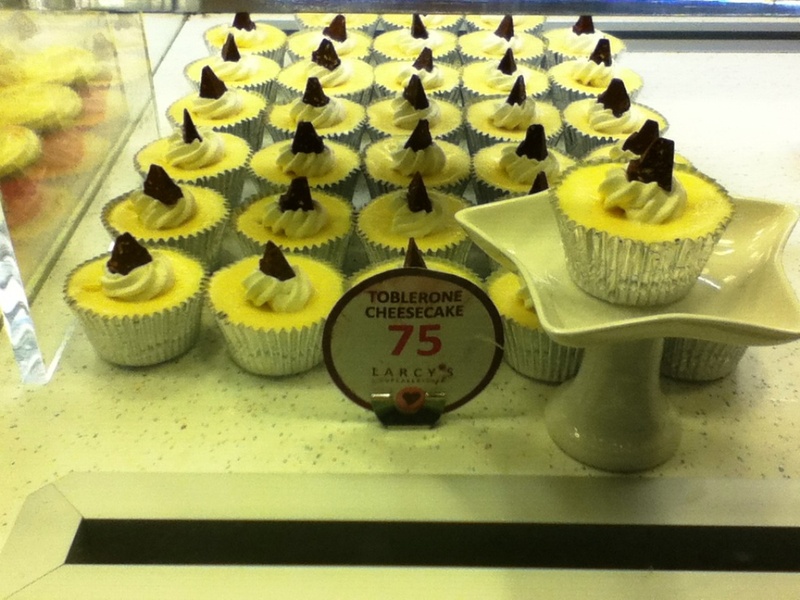 For a price of P175, it was that good. Aside from cupcakes, Larcy's also offer cakes and other gift products like tumblers, shirts, and mugs. 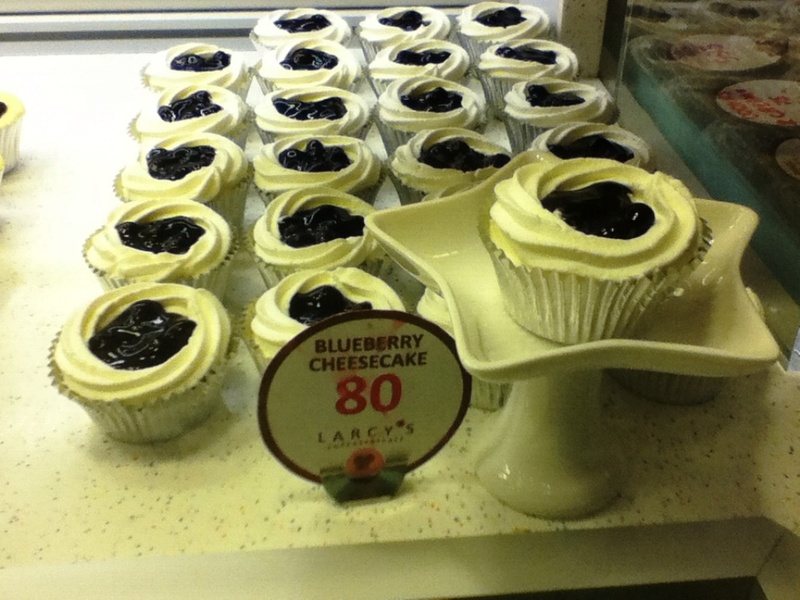 To all the cupcake lovers out there, I strongly suggest for you to drop by in Larcy's. You won't regret travelling all the way to the South just to have a taste of their simple yet divine food. wow! 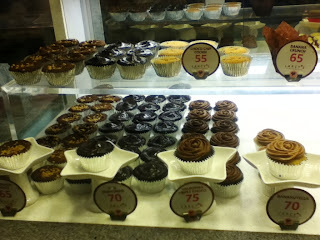 who knew there were soo many different types of cupcakes!! some look yummy, while others are pretty... blah! LOL Im a new follower!! 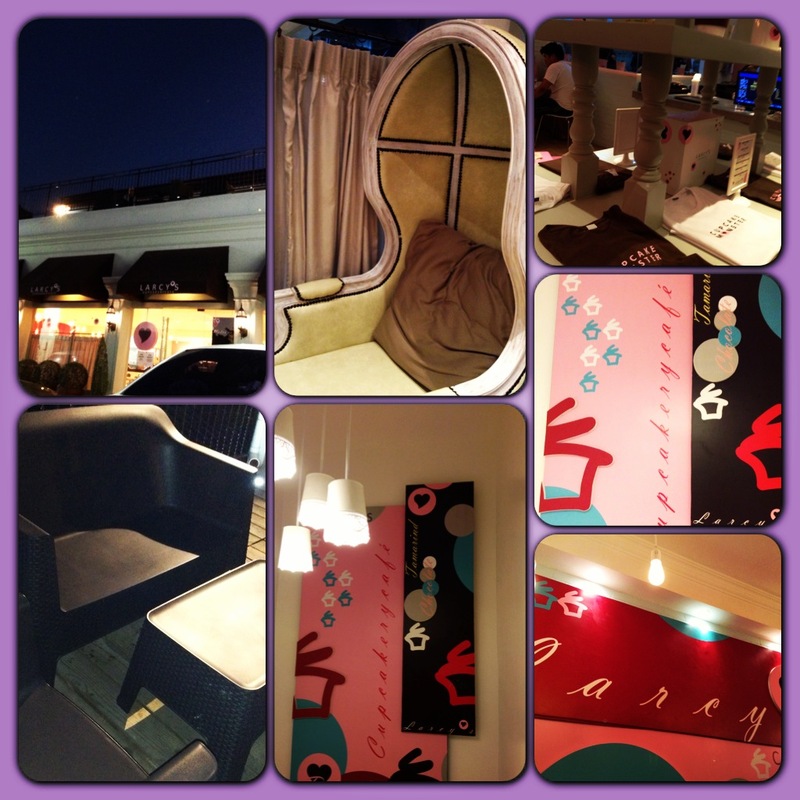 Cool ambiance indeed! Feel free to tag @bfhomes.com.ph on FB, IG and Twitter. ;) Visit http://www.bfhomes.com.ph. Have a great day! Hi Hannah! I changed my url to mojojosine.blogspot.com. Actually, I created a new one. Hehe! Optimistically Pessimistic, n.: A believer of philosophical optimism. Fanatical Dream Chaser. Social Advocate. Courageous Traveler. Art Appreciator. Undoubtedly in love with life.